IV infusion of Remicade, etc. Polyps are benign growths within the lining of the large bowel. 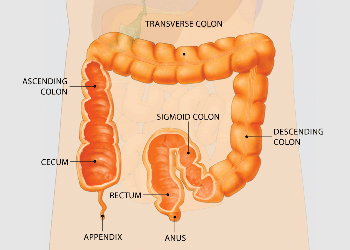 Most colon cancers develop from colon polyps over a period of several years. Removing colon polyps reduces the risk for colon cancer. It is extremely important that your colon be thoroughly cleaned before your colonoscopy. This will let the doctor see any abnormalities, such as colon polyps, during the procedure. Polyps are small growths in the colon that could later turn into cancer. Cleansing the colon before a colonoscopy is called bowel preparation, or "prep." It involves taking medication that causes diarrhea, emptying the colon. The medication is taken by mouth, and comes in liquid or tablet form. You will also need to change what you eat during the day or two before the colonoscopy. What bowel preparations steps are involved before the colonoscopy? Your doctor will tell you to change your diet at least one day before your colonoscopy. Usually you will need to limit your diet to clear broth, tea, gelatin desserts, ginger ale, sherbet, and clear fruit juices (the ones you can see through), such as apple juice. You need to avoid gelatin desserts and liquids that are red or purple. It is important to avoid dehydration during bowel prep. Drink more fluids than you usually do. Your doctor will tell you exactly when to stop eating and drinking before your colonoscopy. Follow carefully all the steps your doctor prescribes. In order for the colonoscopy procedure to be accurate and complete, the colon must be completely clean. Your doctor will tell you to change your diet at least one day before your colonoscopy. Can I continue to take my current medications? Tell your doctor what medications you're taking, especially aspirin products, arthritis medications, anticoagulants (blood thinners such as warfarin or heparin), clopidogrel, insulin or iron products. Most medications can be continued. Some can interfere with either the prep or the colonoscopy. Why is bowel prep important? Your bowel must be clean so that your doctor can thoroughly examine your colon. Many patients feel that the bowel prep is the most difficult part of a colonoscopy. But it is important that you try your best to fully complete the prep. What are the types of bowel prep? Several types of bowel prep medications are available; the two medications used most often in bowel prep are described in the box on this page. Your physician may recommend one of these or other preps which are available. You will need to carefully follow your doctor's instructions about the exact dose and timing of your prep. Some types of prep may be covered by your medical insurance. You'll want to find out if you have any out-of-pocket costs. What determines the type of prep I get? Your medical condition is the most important factor in deciding which type of bowel prep is best for you. Tell your doctor if you are pregnant or breast feeding, or if you have a history of bowel obstruction. Let the doctor know if you have high blood pressure. Also, mention if you have any heart, kidney or liver disease, or if you have had any of these diseases in the past. You need to mention any allergies you have to medications to the doctor. If you have had difficulty with a bowel prep in the past, be sure to mention this as well. Other factors in choosing the type of prep are the time of the colonoscopy appointment, individual preferences (taste and amount of medication), and out-of-pocket costs. Cleaning your colon thoroughly before your colonoscopy allows the doctor to see abnormalities, such as colon polyps, during the procedure. Cleansing the colon involves taking medication that causes diarrhea, emptying the colon. What if I forget to take the medication when I should, or remember too late to finish the prep? Call your doctor and ask what to do if you are not able to complete the bowel prep as advised. What are the common side effects of bowel prep? The type and severity of side effects differ among patients. They also vary with the product used. Some patients have nausea, vomiting, bloating (swelling in the abdomen) or abdominal pain. A prep can cause kidney failure, heart failure or seizures, but this is rare. Your doctor will explain the possible side effects of the prep selected for you. Polyethylene glycol; Electrolytes oral solution (PEG-based products) may come as a powder to be mixed with water before use. They are available only by prescription and are taken by mouth. Although given in a greater volume than other products used in bowel prep, PEG-based products are often preferred for patients with kidney, heart and liver conditions. The reason is that they do not cause mineral or fluid changes that can lead to dehydration. Sodium phosphate comes in tablet form to be taken by mouth and requires a prescription. In rare cases, sodium phosphate can cause kidney failure. Doctors consider this when deciding if sodium phosphate is appropriate for a given patient.